10% off on Souq.com. 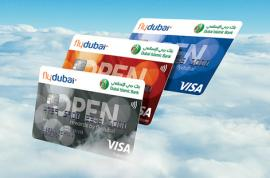 Get an extra 10%* off on a minimum purchase of AED 500 using your Emirates Islamic Credit Card. Offer valid till 20th November 2017. *T&C apply. Max discount of AED 60. Personal Finance Sale from 2.79% flat p.a. Till April 23 only. 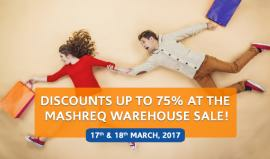 Discount up to 75% at the Mashreq Warehouse Sale. An event exclusively designed for Mashreq Cardholders. Date: 17th & 18th March 2017. Location: Falcon Ballroom Le Meridien Hotel & Conference Centre. Get all information about insurance offers & bank schemes by browsing through list of offers, deals, discounts, schemes happening in banks and firms in Dubai, Abu Dhabi, Sharjah and all over UAE through TomatoSALE. Find the best deals, offers, discounts, schemes for for various bank schemes, plans , insurance policies, funds, etc through TomatoSALE. Get an exhaustive list of deals from various stores in Dubai, Abu Dhabi, Sharjah and all over UAE through TomatoSALE. Be the first one to know about these sales and offers and get them before offers are closed. One destination for all shopping offers for malls, stores, shopping centers anywhere in Dubai, Abu Dhabi, Sharjah and all over UAE.